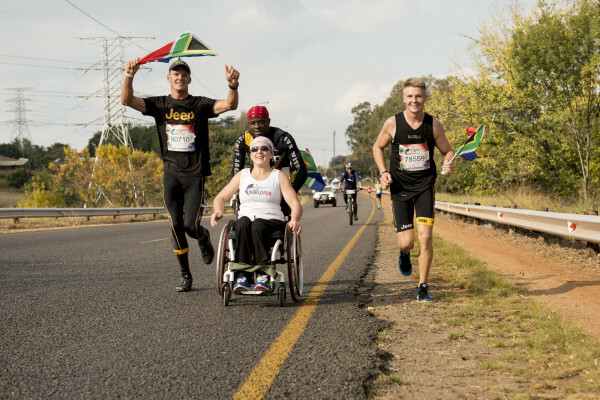 GAUTENG, PRETORIA – 10th MAY 2016 – On Sunday, 8th May, Jeep Team’s OCR athletes – Thomas van Tonder, Jay Jay Deysel, Joshua Masudi, Hlubi Mboya and Carina Marx, joined forces to run for those who can’t in the 2016 Wings for Life World Run, where 100% of race proceeds go towards research into finding a cure for spinal cord injury. Wings for Life World Run events took place in 33 countries across 6 continents and 12 time zones, with 34 official locations, including Pretoria in South Africa. Athletes of all abilities – elite, social and paraplegic – across the globe started at precisely the same time – 11am UTC on May 8, 2016. This year saw an unprecedented number of registered participants – 130,732 across the 34 official locations, stepping up to run for those who can’t, helping to raise a staggering €6.6 million (Euros) for spinal cord injury research. There is no finish line at the Wings for Life World Run. It’s the only race in the world where the finish line catches you. Athletes at each location are chased by a Catcher Car, which takes off 30 minutes after the start, driving at exactly 15km/h for the first hour. 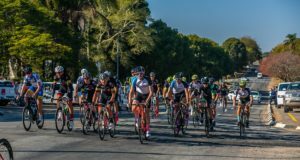 This speed increases to 16km/h for the second hour, 17km/h for the third hour, and then 20km/h for the fourth and fifth hour, increasing to a fast 35km/h to chase down the leading runners. In Pretoria, the Jeep OCR Team ran 28.5km in 2h18m06 before they were caught by the Catcher Car. Said Jay Jay Deysel, “During the race, we met Saskia Schulze, a wheelchair athlete. She needed some assistance to help her beat her 2015 distance of 21.9km. Jeep Team worked with her to run/push her to 28.5km. She was the leading lady in a wheelchair and took the win! Worldwide, the Wings for Life 2016 Men’s race was won by Giorgio Calcaterra in Milano, Italy, who managed to run 88.44km before being caught. In Japan, Kaori Yoshida won the Women’s race worldwide, reaching 65.71km. 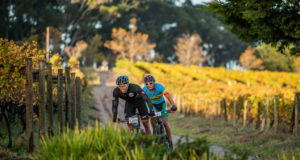 Frenchman, Thibault Barinian, won the South African Men’s race, reaching 62.51km, with Onneile Dintwe winning the Women’s race at 52.71km. To find out more, go to http://live.wingsforlifeworldrun.com/en.